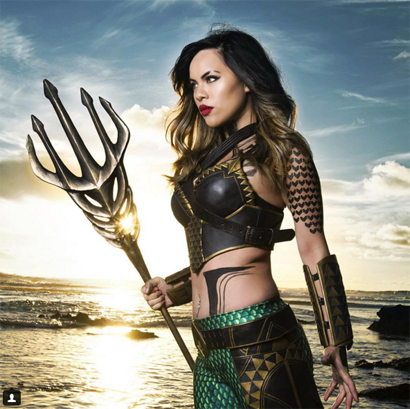 Here is a stunning example of cosplay inspired by Aquaman's look in Batman v Superman: Dawn of Justice. You would think, given how complex this outfit is, it would deter a lot of people from trying to replicate it, but of course cosplayers can be a hearty, determined bunch! This model is named Raquel Sparrow, and she makes for a fearsome Aquawoman. You can out more about her and these photos over on GeeksAreSexy!